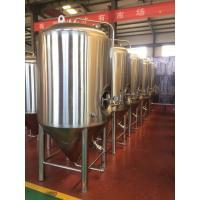 Shandong Zunhuang Brewing Equipment Co., Ltd is the domestic integrated industrial and tradecomprehensive enterprise dedicated in research, manufacturer, development, sales and after-sale service, until now have the 16 years produce experience, company focuses on beer system project that refer to fruit wine equipment, white spirit and alcohol equipment etc, corollary equipment, our company purpose: “Quality first, customer highest”, use the short period provide direct and comprehensive service, and improve the products’ valve and market competitive. 2. 24h service for you, solve your urgent problem first time. 3. 3 years warranty for the main products. 4. Free design for your brewery layout for 2D or 3D. 5. Spare parts replacement and repair service provided. 7. Provide the Form E, CO, etc..others necessary reduce import Tax files for you. 8.To provide update information about brewing equipment technology once we test. 9.Help you send the goods if you have others company order, then send to you together. 10.Door to Door service, if you need any brewing parts. 1. Ocean shipment,railway shipment,express delivery. 2. No matter flat pack to save shipping cost,or fill with your merchandise into allassembled displays to ship together,all is up to you. 3. And we have our own department to arange the shipments.we ship worldwide dierctly by see,railway or express.we will provide all documents you need to import. 4. We packed the goods to meet the transport distance, shock, rust and anti-handling requirements damaged before shipping, to ensure the safe transport of goods to reach the buyer designated location before it is shipped. Internationally recognized: Zunhuang technology has been internationally recognized, and achieved ISO9001: 2008 international quality system certification, import and export EU CE Certification; accepted ASME, CE, AS1210 third-party inspection, with import and export rights, the company's products have been in over 30 countries worldwide.